When 2016 saw teams from different sports break their historic losing streaks (Cleveland Cavaliers, Barangay Ginebra San Miguel, Chicago Cubs) and the industry lose a handful of key personalities (Muhammad Ali, Craig Sager, Kimbo Slice), people were right to expect that the next year would be momentous. Halfway through 2017, the sporting community has already proven to be quite memorable with a slew of triumphs in various fields: from basketball and volleyball, to boxing and MMA. In light of this, FHM rounds up the biggest happenings in sports so far, both local and international. The megabout is at the bottom of the list because of the erratic nature that both fighters share. Even though a press conference for the match has already been scheduled on July 11 in Los Angeles, we still aren't convinced until we actually see Floyd Mayweather, Jr. and Conor McGregor step inside the ring on August 26 at the T-Mobile Arena in Paradise, Nevada. Never mind the third-place finish at the 2016-17 Asean Basketball League, the club team revealed the abundance of local basketball talent (ASEAN Heritage Imports Lawrence Domingo and Igee King), with Bobby Ray Parks, Jr. at the forefront. Alab also gave Parks, the ABL Local Most Valuable Player, the chance to team up with Kiefer Ravena late in the season. The University of North Carolina knew that it could only erase last year's memory of Kris Jenkins (Villanova) hitting the game-winner by capturing the March Madness title, against the Gonzaga Bulldogs this time around. The Tar Heels did just that, led by 2017 NCAA Final Four Most Outstanding Player Joel Berry II's 22 points, six assists, and three rebounds. The national team may have undergone a huge facelift, but they're off to a good start, based on another gold medal finish at the 2017 SEABA Championship. Gilas Pilipinas hopes to duplicate its success in the early 2010s under returning coach Chot Reyes, only with a relatively younger squad and new faces such as Kobe Paras, Ravena, and Christian Standhardinger. 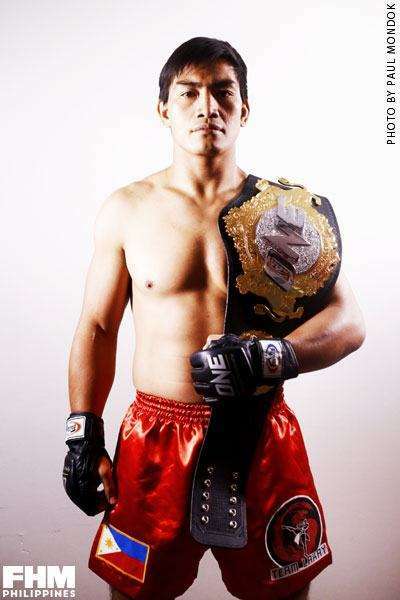 Things are looking up for the man they call the 'Landslide' after back-to-back victories, first taking the ONE Championship Lightweight belt away from Shinya Aoki in November 2016, then retaining it against Ev Ting at ONE: KINGS OF DESTINY in front of his Pinoy fans. Credit his unwavering focus to Eduard Folayang making it a point that he stays grounded despite the win streak. Season 79 saw Majoy Baron (Most Valuable Player), Desiree Cheng (Finals MVP), Kim Dy, Kim Fajardo (Best Setter and Best Server), Tin Tiamzon, and Dawn Macandili (Best Receiver) successfully defending their UAAP women's volleyball title from the Ateneo Lady Blue Eagles. The Lady Spikers were power and grace personified during the latter part of their two-year reign. To describe Russell Westbrook's season as historic would be an understatement: rather, it was nothing short of legendary. He became the second player in NBA history to average a triple-double (31.6 points, 10.7 rebounds, and 10.4 assists), aside from Oscar Robertson in 1962. Him being named Most Valuable Player was the perfect icing on the cupcake. Jeff Horn did enough to force the 'Pambansang Kamao' to surrender his WBO welterweight title, much to the dismay of the viewing public. You can't blame the people, though; Manny Pacquiao was visibly beating the Australian to a pulp for most of the slugfest. Is it time for the local boxing hero to hang up his gloves and be useful as a public servant? Only Bob Arum knows the answer. 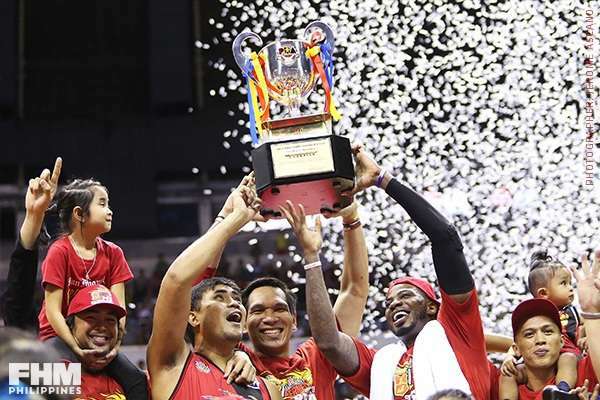 Gilas coach Chot Reyes said it best: "Honestly, I don't think there's any one team who can beat San Miguel (Beermen) if they're playing at their best." Hence, the Philippine Cup trophy. Add to that group a do-it-all import in Charles Rhodes, and what you get is the Commissioner's Cup crown. 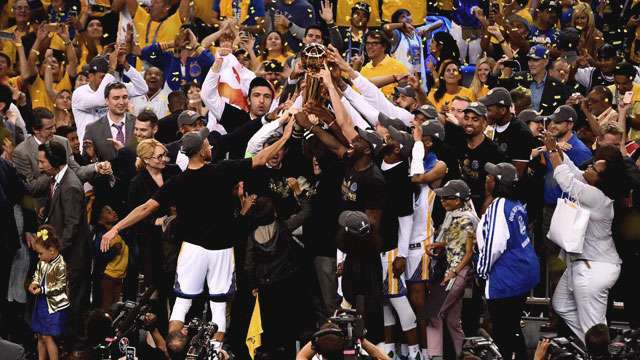 The local version of the 2017 NBA Champions GSW in terms of dominance? We can live with that. 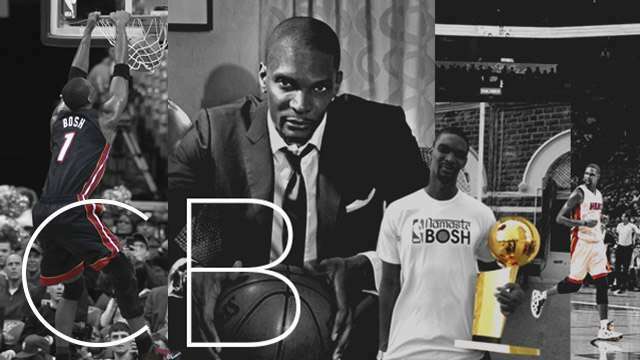 The reason Kevin Durant left a championship-caliber team and accepted the villain role. The reason every big-name free agent (Chris Paul, Jimmy Butler, Paul George, Gordon Hayward) is in a new uniform right now. The reason LeBron James might not win another title ever again. No matter how much you hate them, it doesn't change the fact that the Dubs are going to be the favorites in years to come.